YOURLS is an (amazing) open-source software to create your own URL shortening service with your own custom domain. YOURLS stands for Your Own URL Shortener. It’s open-source, just like WordPress. If you use YOURLS, then you don’t need to depend on a third-party URL shortening service to create short URLs. It’s also a great way to add branding to your short URLs, instead of using the same boring TinyURL or bitly links. But bitly Is Already There, Right? It is, and I believe it will always be there. But having your personal URL shortening service gives you full control over your URLs. You don’t need to depend on random generated URLs, but you can also generate personalized URLs. Personal branding is really important, and Dustin Hartzler has a great episode about the importance of personal branding. And What About The Stats & All? Dude, YOURLS is an entire software to create your own service to create short links, so it gives you very detailed stats about each link and many great features. Plus, if you’re a developer, you can also create a custom plugin. First you need to download YOURLS’ latest version from their official Github page. Download the latest .zip version of the software. As of writing, 1.7 is the latest version available in the Github repository. This software needs a database to store all the links data, so we need to create a MySQL database for the software. If you have some experience with databases, you can also install it to an existing database. 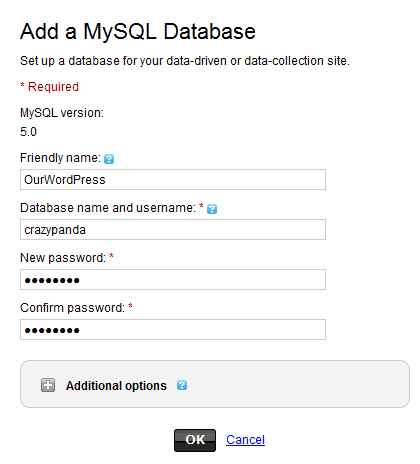 You can create a MySQL database from your hosting panel or cPanel. Create a database , make sure you write down the database name, username and password you’ve just created. We these credentials later in the tutorial. Before we could upload YOURLS to our web server, we need to configure it. Fill the following part of the file with your database username, password, database name, database host & table prefix for YOURLS. It’s the info that we used while creating our MySQL database. Now scroll down a little cuz we have more stuff to define. You need to fill your website domain or the directory where you have installed YOURS and your GMT timezone. If you have used www.example.com, then you won’t be able to use the service with www. prefix. In GMT timezone part, all you need to do is put your timezone, such as +5:30 for India. /** YOURLS language or "locale". ** must be installed in the user/language directory. Now add some random code to the following field to encrypt cookies. You don’t need to remember this code, so make it long & complicated. You can generate a random code by clicking here. You can add as many user accounts as you want just by adding more ‘login’=>’password’ lines. Just save the config.php file, and upload the entire YOURLS folder or files to your web server via FTP or File Manager. Just point your browser to http://yoursite.com/admin/ to see your new YOURLS installation in work.